More than 450 of the community’s most compassionate, generous women came together on January 10 for the most awaited local event in women’s philanthropy: The Lion of Judah Luncheon. 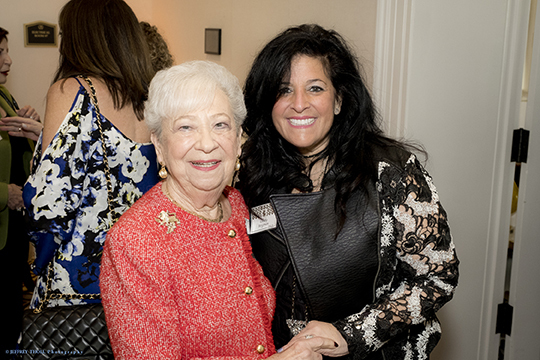 Their roar from their annual ingathering at The Polo Club resounded throughout the community and across the globe, where every day their efforts are saving lives and advancing Jewish life. Inspiring and elegant, the beautiful gathering was led by Honorary Chair, Judy Levis Markhoff, and Event Chair Elyssa Kupferberg, and headlined by two-time Emmy© Award winner, Inside Edition anchor and best-selling author, Deborah Norville. For a sixth year, Wells Fargo Private Bank is the generous sponsor of the Dorothy P. Seaman Department of Women’s Philanthropy. The Lion of Judah Luncheon was generously sponsored by Berger Singerman, Boca Raton Regional Hospital Foundation and Ivan & Co. Fine Jewelers. The Boca Raton Observer was Exclusive Magazine Sponsor, and Atlas Event Rental provided generous underwriting. For more information about the Federation’s Lion of Judah program and other women’s activities and opportunities, visit jewishboca.org/womens or contact Susan Levine at 561.852.6034 or SusanL@bocafed.org.